Most dissolution testers have adjustable feet but level is something that often gets overlooked. The bench where the tester is sited may be level, but that does not necessarily mean that the tester itself is and it should be checked. It should be checked again if the unit is moved for any reason. Since level can seriously affect liquid hydrodynamics in the vessel, it is important to take measurements on the vessel plate since that has a direct affect on the vessels themselves.. Using a suitably calibrated level, (a digital level and verticality tester is a useful option, or bubble level if not available), take measurements at the left and right side of the vessel plate, both front to back and side to side. i.e. at 90 degree offset. Readings should be within 0.5 degrees. Having confirmed that the vessel plate is level, it is necessary to confirm that the vessels themselves are vertical as well. They should be of course, but poor vessel rims can lead to vessels not mounting accurately in their holders, and a simple check will confirm that they are upright and correct. Using a digital protractor, measure the verticality reading at two places, 90 degrees apart. Readings should be within 0.5 degrees (USP). Properly certified and accurate vessels should be used. However even though a vessel may be dimensionally accurate, the rims may not be uniform unless from a suitably controlled source. See dissolution vessels for certified and accurate vessels for most testers. In order to maintain the geometry between the vessels and the stirring element, the paddle or basket shafts need to be vertical as well. This should be pre-set by the manufacturer of the tester but needs to be confirmed in any case. 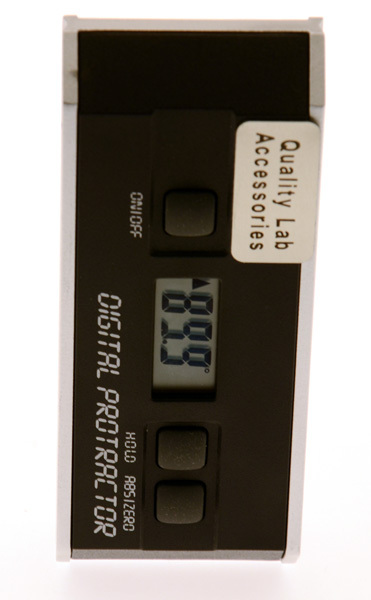 Using the same digital protractor, measure the vertical alignment of the shafts in two places, 90 degrees apart. Readings should be within 0.5 degrees. If they are not then an engineer will need to re-align them in the dissolution tester as they are usually not user-serviceable.